Yesterday we explored Native Speech Recognition. You can keep track of all the projects we're building here. Again, our web app will need to ask the users permission to access their data. This makes sense. For this project we are accessing their exact location. Don't want some evil dude to know where our users are (without their permission). So we will need to run this via a local server (rather than opening the HTML file up in the browser). We are using browser-sync for this example. Browser Sync ships with a self-signed certificate which allows us to access https via our localhost. 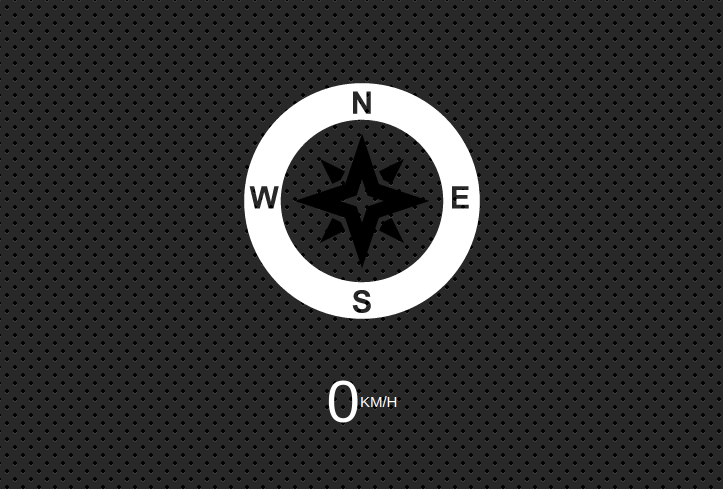 We're going to be using the Geolocation API to create a compass that not only guides us towards North but also show us how fast we are travelling. Next up, we have to access the users location. We will use geolocation. There are two methods that we could access Geolocation.getCurrentPosition() or Geolocation.watchPosition(). We are going to use watchPosition() because we want multiple updates (not just the one location). As you can see some of the data can be returned as null. So we will need to account for that when we use it in our project. Now we have a working compass and geolocator. You can play around with the compass here.